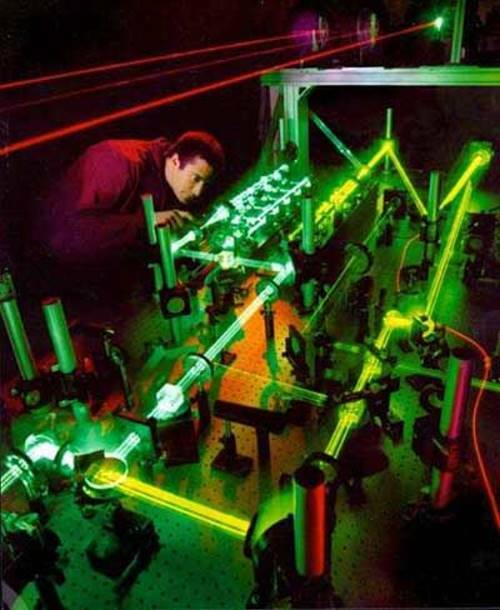 Click on either image to see an enlarged view. DoDEA = Department of Defense Education Activity. Honestly, this was a surprise to me. Thanks to the tip from Steve. Students receiving a primary [grammar school] and secondary [high school] education at a school run by the military for the dependents of career personnel doing quite well in comparison to other state educational systems throughout the United States. Based on math and reading tested levels attainment very good relatively speaking. My thought and understanding was that the military-run schools located on-base offering an average education for dependents but no more than that. More than anything else the unfortunate aspect of students having to relocated on a regular basis an impediment to achieving a high level of scholastic achievement. I guess I am wrong. NO! I am wrong and freely admit it. Good going military and good going kids. Keep it up! From WIZARD thanks to Harry at Sharkhunters and copied more or less in entirety. "[The] PLA Navy (Chinese Navy) has a new kind of submarine. We are told: China is hoping huge, new, smart unmanned submarines will help give its naval fleet an edge in crucial waterways like the South China Sea and the western Pacific. These subs, dubbed extra-large unmanned underwater vehicles or XLUUVs, are much bigger than the current crop of underwater vehicles - large enough to dock as conventional submarines and to carry significant weaponry and other equipment. Their artificial intelligence will help them operate undersea, not only to avoid natural phenomena, but to detect and identify friendly or hostile ships and make navigational decisions to avoid them. The XLUUVs are also designed to complete tasks without needing to seek input during the course of a mission. The intention is for the subs to depart, complete their missions and return without needing guidance." Be not afraid however. The U.S. Navy also has already in the water or at least in the developmental stage and on the drawing boards a XLUVV! This is Orca. As in the killer whale. "That greatest internal threat to the United States the street gang." - - David Hackworth. From decades ago now but even more relevant and extreme the situation. Street gangs possessing that dangerous combination [as enunciated by Hackworth] of numbers, organization, weapons, money and posing a significant threat to American internal security. This having been so for some time now also. Not a new phenomenon. Also the gang EXTREMELY RUTHLESS AND PRACTICED AT RUTHLESSNESS!! 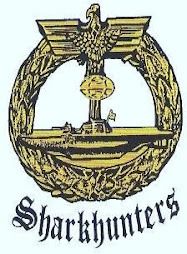 Herewith some links from the Small Wars Journal Internet web site the topic of which is the internal security threat the street gang/military connection. All articles courtesy Carter F. Smith and in the case of # 1 link add the name of Joshua Harms. 1. "The Threat of Street Gangs, Outlaw Motorcycle Gangs, and Domestic Terrorist/Extremist Groups with Military-Trained Members"
"Military-trained gang members (MTGMs) have been identified in every wartime period for the United States—from the Revolutionary War to the current conflicts." 2. "Gangs and the Military Note 1: The Increased Threat of Third Generation Gangs with Military-Trained Gang Members"
"In an early exploration of the evolution of group violence in its most common form, John Sullivan found the beginning indicators of Third Generation (3GEN) Gangs. 3GEN gangs pose a significant threat to the safety, security, and future of our communities." "First generation gangs are those considered primarily turf gangs." "MTGMs increase the level of dangerousness to the community with their warfighter training and share their ability to remain undetected by law enforcement or members of the community, which allows their organization to thrive and grow unchecked." 3. "Gangs and the Military Note 2: Military-trained Gang Members as Criminal Insurgents"
"Military-trained gang members (MTGMs) have received military training such as tactics, weapons, explosives, or equipment, and the use of distinctive military skills. Gangs with military-trained members often pose an ongoing and persistent military and political threat. At least one tenth of one percent of the U.S. population is an MTGM, and there are between 150,000 and 500,000 MTGMs." "Hail almighty Blackstone!" Chicago street gang slogan from the era of the 1960's. Even much more applicable now than it was then. Follow up to a previous blog entry from only several days ago. "An Israeli David's Sling missile falls into Russian and Syrian hands"
IDF = Israel Defense Forces. "Two missiles of the David's Sling cutting-edge air defense system were launched against Syrian SS-21 missiles on Monday, July 23. One landed in Syria; the other one self-destructed. Both missed their targets. The IDF refrained from attempting to recover the lost missile, partly because it would have entailed a major military clash with Russian and Syrian forces. 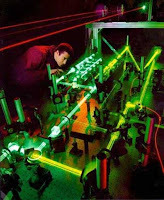 The top-line weapon is therefore now in the hands of their intelligence engineers [primarily I would think Russian], who have won a rare opportunity to study the secrets of Israel's high-tech weapon. Israel's most urgent task now is to ascertain what information they extract before determining how to redesign David's Sling and repairing any glitches revealed in its first performance before sending it back into service." Capture of an enemy weapons system if only in bits and pieces of great value. Analysis to include [but not strictly limited to]: 1. Determine strengths of the system and incorporate same into your own weaponry. 2. Determine weakness of the system and eliminate same from your own weaponry. You can bet the Russians are keen regarding this opportunity; information as gained by analysis of the missile the type of data only otherwise possible by espionage. Pardon my instantaneous and intuitive response but this seems an instance of Russian agitation and propaganda? Agitprop as deemed! "Great Nations Are Destroyed By Being Pulled Into Wars To Defend Tiny Ones"
Original article by Martin Sieff via The Strategic Culture Foundation. Thanks to same and Zero Hedge, the tip from Al..
"NATO's obsession with pulling in as many small, unstable and potentially extremist countries in Eastern Europe as possible makes a world war inevitable rather than deterring one." SMALL AND "POTENTIALLY" EXTREMIST COUNTRIES SUCH AS POLAND, THE BALTICS, AND EVEN UKRAINE. Ukraine as perceived by Moscow already aligned with NATO even if Kiev not a constituent member of NATO. Poland and the Baltic nations having a definite and obvious historical animus with the Russian. Precedent as cited Serbia and Belgium in World War One. Poland in World War Two. IN A MORE RECENT CONTEXT THINK KOREA AND VIETNAM? Assuming this premise of this article is correct, devoted readers to the blog can think of other historical examples, great nations destroyed or greatly weakened by waging war to defend a small and relatively defenseless nation? Let me hear from you. Lend-Lease Soviet Union World War Two [WW2]. About one-half of all Lend Lease shipment from the United States to the Soviet Union via the north Pacific route. Japanese during the war respecting their neutrality treaty with the Soviets and NOT interfering with these voyages. The famous Murmansk/Arctic route accounting for about one-quarter of all Lend Lease sent to the Soviet, forty or so convoy, each convoy carrying enough war-stuff and munitions to equip an army of about 50,000 men. That Arctic route through the Bering Strait open perhaps only for about two months of the year. The Black Sea via the Dardanelles and Bosporus route a favorite idea of Churchill but of relatively minor importance in comparison to the whole. THAT AMOUNT OF LEND-LEASE WAR-STUFF AND MUNITIONS AS SENT TO THE SOVIET UNION DURING WW2 STUPENDOUS. NOT EVEN COUNTING ADDITIONAL LEND-LEASE AS PROVIDED TO ALLIED FORCES WHOM EVER THEY MIGHT HAVE BEEN!! From times of yore yet one more instance of the sunken warship carrying a cargo of enormous value, salvage of which seems to be more than a possible. See my previous blog entry most recent and apropos. "Fight for 'World's Richest Shipwreck' Heats Up"
"With a cargo worth possibly more than 20 billion dollars [$20 billion USD], salvors seeking excavation rights to the San José shipwreck face new challenges." Thanks to the National Geographic, the article by Willie Drye and the tip from Jeff. AN AMERICAN CONCERN EVIDENTLY CORRECTLY CLAIMS TO FIRST HAVE DISCOVERED THE WRECK. 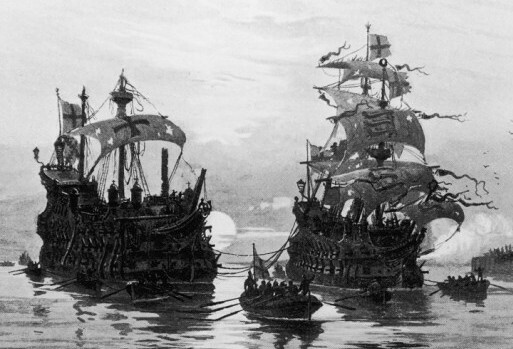 A SECOND CONCERN OF SWISS ORIGIN IS GOING TO SALVAGE THE WRECK AND THE GOLD. WE HAVE A CONFLICT HERE, DO WE NOT? ADMIRALTY LAW PREVAILS OR WHAT? "The administration of outgoing Colombian president Juan Manuel Santos has set a deadline of July 23 for prospective salvors to submit proposals for excavating the San José, a 300-year-old wreck off the Colombian coast." "Estimates of the value of the San José’s cargo of gold, silver and jewels have ranged from a few billion dollars to more than $20 billion." WE ARE NOT TALKING PENNY-ANTE SMALL POKER STAKES HERE FOLKS! MORE on the warship or cargo vessel carrying cargo of immense value, sunk by hostile military action, recovery of treasure on occasion successful. "Did the Soviets repay the USA after the Lend-Lease policy ended?" ALL OF THIS A RESULT OF REVERSE LEND-LEASE AS IT IS TERMED? 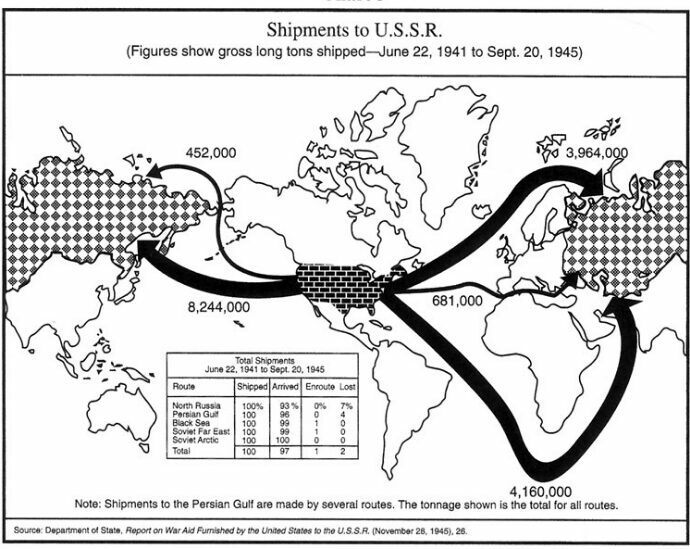 "During the war the USSR provided an unknown number of shipments of rare minerals to the US Treasury as a form of cashless repayment of Lend-Lease. This was agreed upon before the signing of the first protocol on 1 October 1941 and extension of credit. Some of these shipments were intercepted by the Germans. In May 1942, the HMS Edinburgh was sunk while carrying 4.5 tonnes of Soviet gold intended for the U.S. Treasury. This gold was salvaged in 1981 and 1986. In June 1942, the SS Port Nicholson was sunk en route from Halifax, Canada to New York, allegedly with Soviet platinum, gold, and industrial diamonds aboard. However, none of this cargo has been salvaged, and no documentation of it has been produced." Read of the gold salvage expedition to the Edinburgh, successful. Read of the rediscovery of the Nicholson. Items of great value not recovered. THESE SHIPMENTS WERE AN INSTANCE OF R PRECIOUS METALS ESSENTIAL FOR THE WAR EFFORT? See here also recent previous blog entry with a similar topic and additional links. Here yet with one more post that cannot wait. As of today, just a few hours ago, even almost as we speak, and for two days in a row, Israeli air defenses challenged from Syrian airspace. The challenge met. First a Scarab missile [yesterday]. Today either a Su-22 or Su-24 combat warplane. Intrusion that cannot go without response! From Freeper in both cases. 1. "Israel Shoots Down Syrian Plane that Entered Israeli Airspace – Video 7/24/18"
"The Israeli Military has shot down a Syrian Fighter Jet that had entered Israeli airspace. Reports indicate the Syrian Plane had penetrated Israeli airspace two miles deep before being shot down using Patriot Missiles." 2. "Israel takes down Syrian plane"
"Israel takes down Syrian plane For the second day in a row, sirens sound in Israel's north"
AS WAS YESTERDAY THIS REPRESENTS RECONNAISSANCE BY FIRE? AN ATTACK TO MAKE THE ISRAELI AIR DEFENSE ILLUMINATE AND LIGHT UP [RADAR EMISSIONS]. SEE WHAT YOU GOT. Foreboding and shapes of things to come? We hope not. "You don't need to be a weatherman to know which way the wind is blowing." Only very vaguely do I recall any of this. Thanks to the tip from Steve. STORM. Operation STORM. "Operation Storm [4–7 August 1995] . . . was the last major battle of the Croatian War of Independence and a major factor in the outcome of the Bosnian War. It was a decisive victory for the Croatian Army (HV), which attacked across a 630-kilometre (390 mi) front against the Republic of Serbian Krajina (RSK), and a strategic victory for the Army of the Republic of Bosnia and Herzegovina (ARBiH)"
* Largest land battle in Europe since 1945. 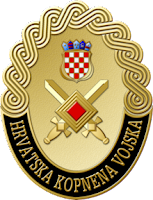 * Croatian army trained by U.S. advisers. * Offensive planning under the tutelage of American advisers. * Lessons from Desert Storm incorporated into "Storm". * War crimes perpetrated quite numerous. * Ethnic cleansing accompanied by lots of refugees. Predominantly Serb. Those various warring Balkan adversaries in the aftermath of STORM more willing to negotiate an equitable settlement and did so? That would appear to be the case. Directed energy weapons as used by 6th generation warplanes are not the future. Aerial directed energy weapons are the now! Or soon will be. Thanks once more to Zero Hedge. "F-35 Stealth Jet Modernization Program Will Allow For Directed Energy Weapons"
"Pratt and Whitney . . . announced last Thursday a ‘Growth Option 2.0’ upgrade for the F135 engine, which powers the fifth-generation Lockheed Martin F-35 Lightning II, that could provide increased power and thermal management system (PTMS) capacity"
"According to Aviation Week and Space Technology, additional engine power and thermal management capabilities of the F135 engine will allow for the use of directed energy weapons and other Defense Advanced Research Projects Agency (DARPA) inspired armaments, and if approved, would be featured in an upgrade package called Growth Option 2.0 (GO2)." "Here's looking at you, kid." Just don't look directly! Posted instantly upon receipt. Today. As we speak! Thanks to DEBKAfile. 9K720 = Tochka = Scarab = SS-21. IDF = Israeli Defense Forces. "IDF: David’s Wand was aimed at Syrian SS-21 missiles – and missed"
"Clarifying the alert over northern Israel on Monday, the IDF spokesman said that Syrian SS-21 air defense missiles were detected flying from east to west and calculated to strike Israel east of the Sea of Galilee. These missiles have a 100km range and each carries a 500km [about a thousand pounds] warhead. The IDF decided to intercept them while still in flight and ordered a David’s Sling battery into action. But then, new calculations found the Syrian projectiles’ trajectory would come short of Israeli air space. At that point, one of the David’s Sling missiles was ordered to self-destruct. A second went missing"
* SS-21 a ground to ground ballistic missile and not an air defense missile as described. * 500 km warhead a 500 kg warhead. Kilograms and not kilometers. * Missile as fired by David's Sling [Wand] did not miss! Destructed when not needed. DEBKA be ashamed. Devoted readers to the blog read all comments [thoughts]. "Crowded but not at odds." The American Lee [crew of seven] or Grant [crew of six] M3 tank while in Soviet service employed in an unusual manner. APC = Armored personnel carrier. SMG = Sub-machine gun. "#52 Soviet Shermans: The Soviet Union Used and Liked the Sherman"
That American M3 Lee/Grant tank supplied to the Soviet through Lend Lease the combat role exceeding that of the designers as envisioned: Again, Lee tank a seven man crew. Grant tank a six man crew. ". . . they [Soviets] could pack up to 10 SMG infantry into the Lee, along with the regular 7 man crew, making it into a makeshift APC. The thing would be packed full of people though. The report says all weapons could be fired on the tank while those 10 men were stuffed in, so I guess the US Army or Brits didn’t try this because they liked comfort or something." 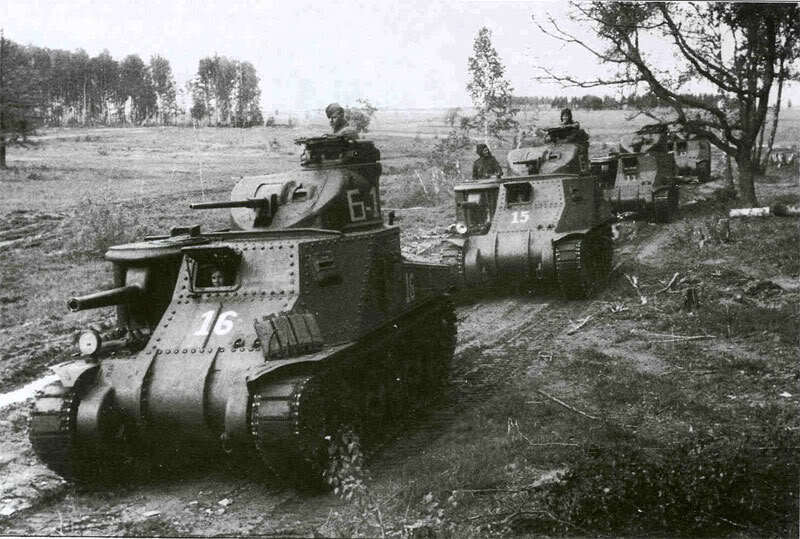 An image of American Lee/Grant tanks in Soviet service during the Second World War. 37 mm cannon turret-mounted the main anti-tank weapon. 75 mm field gun for artillery direct fire support during an infantry advance. Organic firepower for the accompanying infantry, providing substantial cross-country mobility and small-arms protection for the ground troops. Consider such crowding to be uniquely a practice the Soviet would engage in? Troops riding outside of a tank I have seen images of. So many infantry crammed into the interior of an already heavily burdened tank I was not familiar with or that such a thing was ever contemplated or even possible!. From Yahoo News and the tip from Jeff the sunken Russian warship Dimitri Donskoii has been found. When sunk carrying a cargo of gold the value of which is prodigious. This has the potential to be really big. Don't count your chickens before they hatch and all that but this one you can take to the bank? Literally so? I don't know. "Russian warship ‘carrying £100 billion in gold’ discovered off South Korea"
Admiralty Law and the rights of salvage are dominant here? The Russian will not stake a claim and impede any recovery of the golf? "Todd Starnes: Air Force surrenders to demand to replace Bible with generic 'book of faith' on POW/MIA table"
"The commander of F.E. Warren Air Force Base in Wyoming has agreed to replace a Bible on a POW/MIA table with a generic 'book of faith,' according to documents released by the Military Religious Freedom Foundation. The MRFF is a militant organization that has fought against Nativity scenes, Bible studies and any outward expressions of the Christian faith on U.S. military installations." Exhibit at the USS Lexington museum, Corpus Christi, TX. USA. Thanksgiving on the warship and the dining area having a symbolic table and place setting for the missing or downed naval combat aviator. Complete with the Holy Bible. Corpus Christi BTW means Body of Christ. JESUS! I see no harm here. Extreme cases make for bad law and for bad policy too! My perception. Try to please everybody and you end up pleasing nobody and probably get pushback. Again, I see no harm. The entire legal, moral and ethical code as followed by Western Civilization is based on teachings of the Bible. One mistake, two mistake, three mistake more! Submarine Spanish style. Thanks to the BBC. "Spain's new submarine 'too big for its dock'"
"An attempt to deploy a new submarine for Spain's navy has run aground again, after it emerged it cannot fit in its dock, Spanish media report." "The S-80 boat was redesigned at great expense after an earlier mistake meant it had problems floating, and it was lengthened to correct the issue." * S-80 first not buoyant enough. Able to submerge but NOT surface! * S-80 the initial problem corrected. But now too LONG for dock! S-80 however according to the wiki entry almost in a class [if not in a class] all by itself. "The S-80 Plus class (or Isaac Peral class) are a series of advanced technology submarines . . . fitted with a new propulsion system designed for a high degree of autonomy under water. By their conception, the S-80s are far ahead of the classic submarines of diesel-electric propulsion and even superior to the conventional AIP of the last generations . . . The characteristics of this class of ships place them at a level close to those of nuclear propulsion." This fiasco all seems to be the result of a few decimal points in the wrong places? How long have they been building steel ships now? 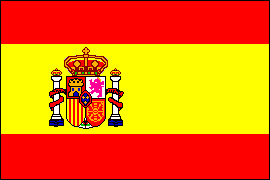 Good luck Spanish Navy. The "bugs" are worked out now? I hope so. Submarine duty at all times on a war footing and dangerous. Having a boat you are not confident in makes for a bad situation. Deuteronomy 28:43 - - "The foreigner living among you will rise higher and higher above you, while you sink down lower and lower." 1. "It can probably be done cheaper by contractors than the US military." 2. "Contractor/mercenary casualties are easier to ignore "
3. "Long term costs--less. Injured and PTSD." 4. "Would require having powerful air assets on call for emergencies." Read further that advocacy of Erik Prince to employ the crop-duster type combat warplane in the low-intensity counter-insurgency environment. THE HEAD WILL BECOME THE TAIL AND THE TAIL WILL BECOME THE HEAD. An unstable/ineffective/incompetent central government as currently is the case in Afghan becoming too reliant on the mercenary/contractor military force. The foreign mercenary combatants if not tightly controlled at some point having more "say" in the running of the country than does the recognized and local political authority. "His [Prince] suggestion centres on small teams of armed private contractors, not 'mercenaries', largely composed of former members of Western forces, mentoring Afghan troops – living, training and going into battle with them – supported by aircraft flown by contractors with Afghan co-pilots." "Exclusive: Blackwater founder's plan to privatize America’s $76bn, 17-year war in Afghanistan"
"In a rare interview, Erik Prince speaks in depth about his pitch to Trump and Pompeo to slash costs by shifting military operations to an international team of 'contractors'"
Erik Prince of the now defunct [?] Blackwater independent military contractor concern. 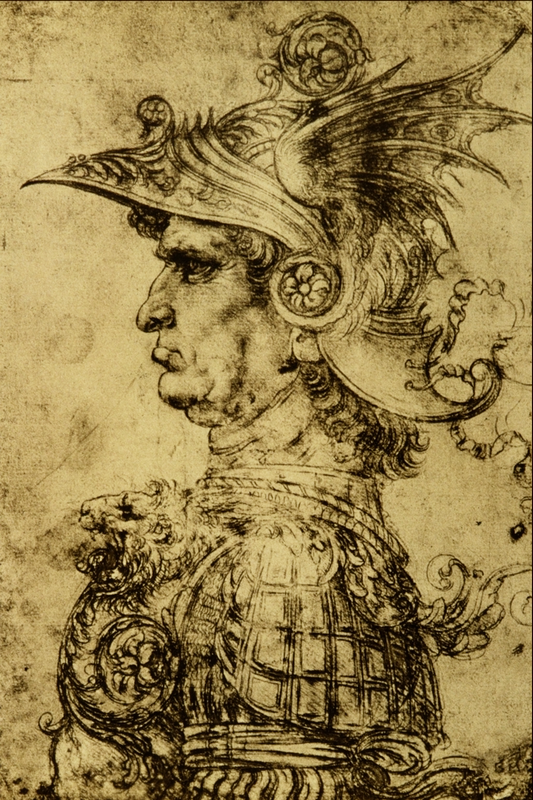 And ARE mercenaries as that word mercenary generally, commonly, and ordinarily understood. A soldier whose allegiance is to himself, the paycheck, and his immediate compatriots and no one else. You pay me, I fight,. You don't pay me, I don't fight. Also persons exempt from all protections of the Geneva Convention. Erik additionally an advocate of the crop-duster like combat warplane. Cheap and effective, available for service now, close-air-support minimal in comparison to modern combat warplanes. This is a return to the days of the Italian Renaissance and the White Company of John Hawkwood? The condotierro hired guns [swords mostly], professional soldiers of the era and beholden to the highest bidder. Army Combat Fitness Test. New! "A new Army PT test is on its way. This is not a drill." "Army officials unveiled a new gender- and age-neutral PT test on Monday, and it’s set to replace the run/sit-ups/push-ups protocol that soldiers have known and hated for the past four decades." * Deadlift between 120 and 420 pounds. This is a video of the Army Combat Readiness Test. The same as the ACFT? Not sure about those push-ups. Back in my day, over fifty years ago we had the five-event physical training test. Run a mile, throw a grenade [for distance and accuracy], horizontal ladder [monkey bars], run-dodge-jump, and low-crawl. Measures of strength, endurance and agility as probably a good measure of physical ability for the soldier whatever his specialty. I AM SOMEWHAT CONFUSED ABOUT ALL THIS TOO! THIS TEST WILL BE FOR ALL SOLDIERS OR JUST THOSE THAT ARE COMBAT ARMS? I AM NOT SURE. The single best way to evaluate the health and strength of a soldier is the standing long-jump? Strong legs equates to strong health and fitness? The single best and easiest way to condition a soldier for combat weight-loaded marching? Dashka heavy machine gun mounted on a technical we are familiar with. 20 mm cannon mounted on a technical we are familiar with. But a Vulcan 20 mm rapid-fire cannon we are not familiar with. Until now. "Houthi Rebels In Yemen Have Technical Trucks Armed With Vulcan Cannons"
"Technicals, a term typically applied to commercial pickup trucks or similar light wheeled vehicles with improvised weapon mounts, are common among both state security forces and non-state actors, especially in the Middle East. But few are as heavily armed as a type that Iranian-backed Houthi rebels in Yemen are employing, which packs a 20mm Vulcan cannon and looks like something one might expect to see in a new Mad Max movie." "The fearsome combination looks like something out a post-apocalyptic action flick, but gives the group very real mobile firepower." American Vulcan M163 used in the ground support role during Gulf War One. Able to destroy a thin-skinned vehicle with a single burst and used quite often in this role! YOU COULD LEVEL A WHOLE FOREST WITH ONE OF THESE VULCAN! BUT THEY DON'T HAVE FORESTS IN YEMEN, DO THEY! The Houthi if anything very resourceful, resilient, determined, even inspired and worthy of admiration, whether you agree with their cause or not. Interrogation! Surreptitious! Von Paulus. 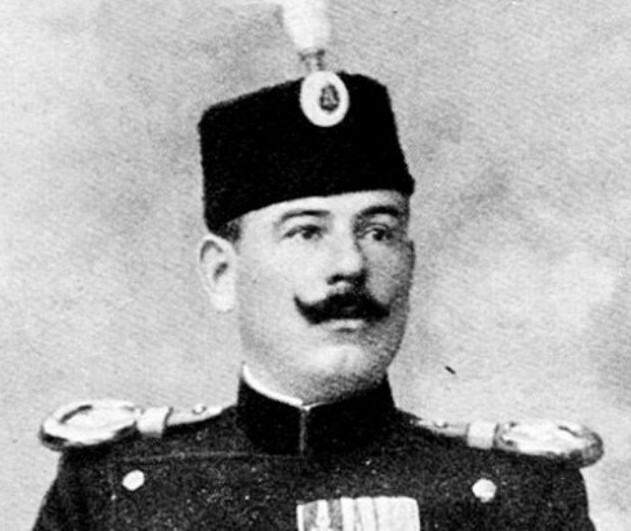 Schmidt. "Report of the Special Section of the Don Front NKVD (People's Commissariat of Internal Affairs) to Special Sections Department of NKVD USSR, about conversations of F. Paulus, A. Schmidt and others." "To Deputy of the National Commissioner of Internal Affairs of the USSR, Commissioner of State Security Third Rank, comrade Abakumov"
"According your order, I placed agents on the premises, occupied by captured German generals." "With Paulus and Schmidt I placed an agent of counter-intelligence department, junior lieutenant of the state security, comrade Tarabrin, who speaks German language well, and our representative Nesterov." 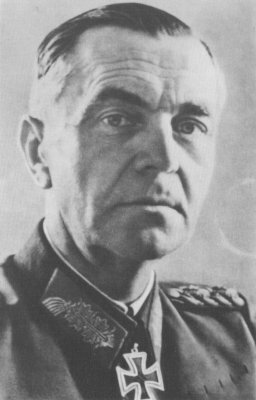 THOSE MOST SENIOR GERMAN COMMANDERS CAPTURED AT STALINGRAD THEIR PRIVATE CONVERSATIONS EAVESDROPPED BY GERMAN SPEAKING NKVD [Soviet secret police] AGENTS, THOSE AGENTS SUPPRESSING THEIR KNOWLEDGE OF THE LANGUAGE! Von Paulus and his immediate subordinates while in captivity their main topic of conversation and concerns being: Dinner. Sleep. Vodka. Cigars. Penknife. Shave. Creature comforts Von Paulus seemingly oblivious to the suffering of those remnants of the Sixth Army. 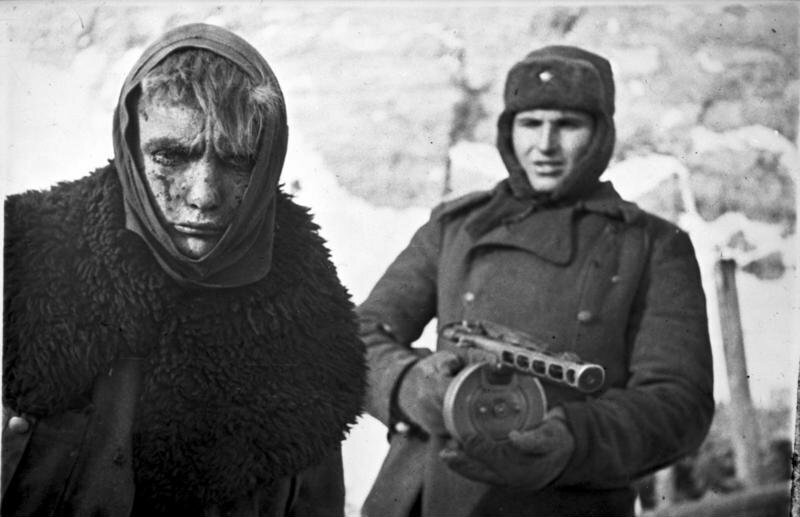 Of those Germans captured at Stalingrad ONLY about 5 % of those troops making it back to Germany. The remainder succumbing to hunger, disease, privation of all sorts and downright mistreatment by their captors. I guess it can be suggested that Von Paulus at that exact moment of time more or less helpless, his duty having been done according to his code of honor. Devoted readers to the blog will have to decide for themselves. "We [Soviet soldiers and British journalist] . . . went into the yard of the large burnt out building of the Red Army House; and here one realized particularly clearly what the last days of Stalingrad had been to so many of the Germans. In the porch lay the skeleton of a horse, with only a few scraps of meat still clinging to its ribs. Then we came into the yard. Here lay more more [sic?] horses' skeletons, and to the right, there was an enormous horrible cesspool – fortunately, frozen solid. And then, suddenly, at the far end of the yard I caught sight of a human figure. He had been crouching over another cesspool, and now, noticing us, he was hastily pulling up his pants, and then he slunk away into the door of the basement. But as he passed, I caught a glimpse of the wretch's face – with its mixture of suffering and idiot-like incomprehension. For a moment, I wished that the whole of Germany were there to see it. The man was probably already dying. In that basement [...] there were still two hundred Germans—dying of hunger and frostbite. 'We haven't had time to deal with them yet,' one of the Russians said. 'They'll be taken away tomorrow, I suppose.' And, at the far end of the yard, besides the other cesspool, behind a low stone wall, the yellow corpses of skinny Germans were piled up – men who had died in that basement—about a dozen wax-like dummies. We did not go into the basement itself – what was the use? There was nothing we could do for them." - - British war correspondent Alexander Werth, witness at Stalingrad. Multiply the scene as described above by hundreds if not thousands of instances and you have a good idea of the German soldier, Stalingrad, upon surrender. That combination of unremitting combat, pitiless cold, lack of provision, disease and inadequate if not downright non-existent medical care. The iconic image accompanying this blog entry does say a lot, doesn't it! More to follow. I am going somewhere with this. More on cost effectiveness of weapons systems. See previous blog entries as applicable here and here. "Israeli strategists split over Iron Dome versus laser system missile interceptors"
"Israel's military leaders are in a hot debate over whether to supplement Israel's expensive Iron Dome missile stocks with the new and cheaper US laser beam weapons. The arithmetic is simple: Downing an estimated number of 12,000 enemy missiles would take more than 30,000 Iron Dome missiles, at the astronomical cost of $5 billion. 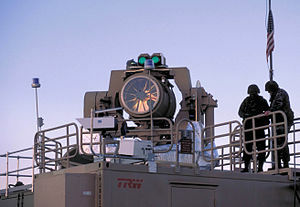 Fifteen SkyGuard lasers batteries (at $75 million apiece) would come to around $1.125 billion, representing a saving of $3.75 billion"
Missiles as being spoken about here more correctly understood as ROCKET ARTILLERY of the old-fashioned GRAD variety [but improved and larger]. 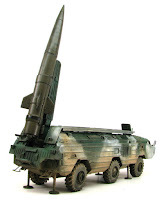 Hezbollah in particular possessing rocket artillery in abundance courtesy of the Iranian. A formidable threat to Israel the counter of which is the Iron Dome surface-to-air missile counter-rocket/counter-mortar weapons system. SkyGuard I am totally unfamiliar with. Cost effectiveness until battle-tested only a speculation. Do not consider this to be a test! IDF = Israeli Defense Forces. "IDF uses Gaza as a lab and showroom for new weapons and tech it plans to sell – report"
"Human rights campaigners claim that the Israeli army and defense corporations exploit the deadly Gaza protests to test and advertise hardware like drones, sniper rifles and 'smart' fences." * Hermes 900 Kochav drones. * Next-generation Hatzav tank shells. "Shoko" able to deliver [a] "foul-smelling and very sticky liquid". Phantom 3 apparently a commercially available DJI Chinese product. Fence understand as not merely fencing. A complete high-technology barrier system total and complete. Cherries Jubilee it is not! Here from several Internet web sites some material I was not familiar with until yesterday. Aspects of the Gettysburg Campaign and eventual Confederate defeat controversial at best! That Army of Northern Virginia not having an adequate system of sustained and organized supply it necessary to requisition and confiscate supplies while on the march, foraging freely sometimes with bad consequences. 1. "How Pennsylvania Cherries Tried to Win the War"
"Ewell's men and the Confederate army that followed found the cherry trees that lined the roads irresistible. Many soldiers grabbed handfuls of the luscious fruit to eat as they marched. Some diaries tell us that many suffered stomachache. Some suffered worse. Those who recovered in time went on to fight at Gettysburg." "It wasn't only enlisted men who suffered from eating too much fresh fruit . . . [it is suggested] that General Robert E. Lee's partial indisposition on the second day of the battle of Gettysburg might have been caused by an overindulgence of cherries and raspberries." HUNGRY CONFEDERATE TROOPS EN ROUTE TO GETTYSBURG HAVING GORGED THEMSELVES ON RIPE CHERRIES AS PICKED FROM LOCAL ORCHARDS SICKENED AND AT LESS THAN 100 % FIGHTING CAPACITY PRIOR TO THE BATTLE? 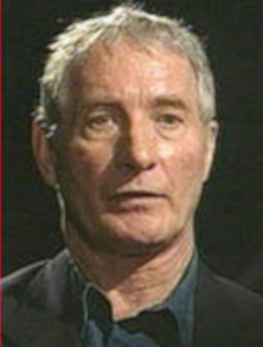 LEE ALSO AT LESS THAN 100 % REASONING FACULTIES A CONSEQUENCE OF HAVING CONSUMED TOO MUCH FRESH FRUIT HIS SYSTEM UNABLE TO HANDLE? 2. "Robert E. Lee may have lost Gettysburg because of a heart attack"
"In July 1863, Confederate General Robert E. Lee hatched an audacious plan to invade the North, defeat the Union Army, and force an end to the war – with a Confederate victory. Everything – perhaps the entire Civil War – depended on the outcome at Gettysburg." R.E. Lee a man not in the best of health from heart disease his "audacious plan" that went awry during the third day at Gettysburg. Massed attack doomed to failure from the start [??] a result of less than 100 % correct reasoned and thinking? "Despite his [R.E. Lee] relatively good medical condition from 1864 to 1867, by the end of the decade, he suffered from exertional (stable) angina – chest pain from blocked arteries caused by activity. By 1870, his angina became unstable and he died at age 63. 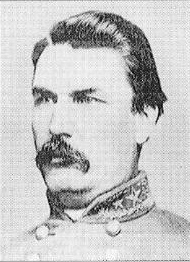 "His heart disease may have affected his judgment in all areas of life, which would explain some of the inexplicable and uncharacteristic decisions he ordered that day, namely Pickett's Charge." It can be reasoned and understood quite easily that the ability to plan and conduct operations of R.E. Lee evidently unimpaired at Wilderness  and Spotsylvania . Even to the end R.E. Lee still at the top of his game which was outstanding. "Night gathers, and now my watch begins. It shall not end until my death. I shall wear no crown and win no glory. I shall live and die at my post. I am The Sword in the darkness. 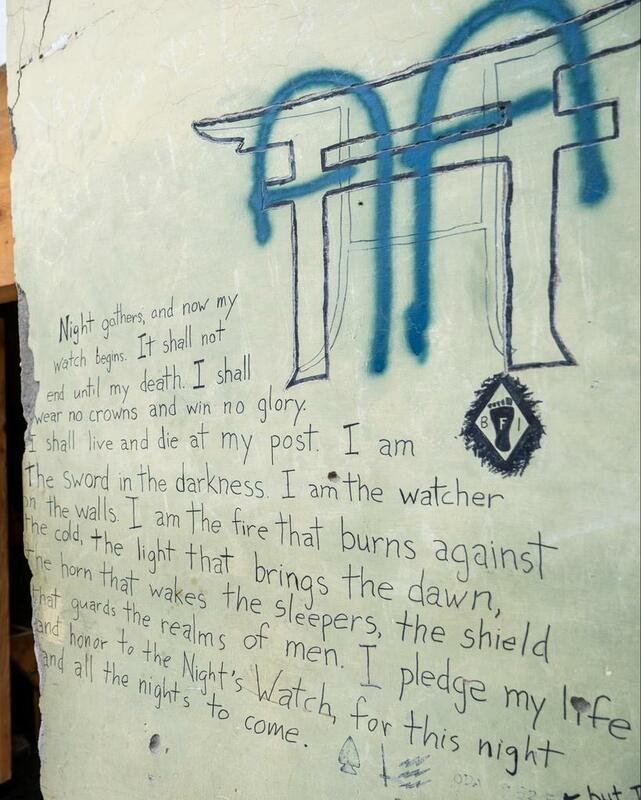 I am the watcher on the walls. I am the fire that burns against the cold, the light that brings the dawn, the horn that wakes the sleepers, the shield that guards the realms of men. I pledge my life and honor to the Nights' Watch, for this night and all the nights to come" - - American special forces combat outpost Blackfish, Afghanistan. That original quote by George R.R. Martin and thanks to all parties. See the Black Rifle feature articles and peruse at your leisure. And USA happy birthday!! American Independence Day, 4 July 1776. COA = Course of action. "course of action — 1. Any sequence of activities that an individual or unit may follow. 2. A scheme developed to accomplish a mission. Also called COA." "He [Lee] has four alternative to select from. He has the choice to retire into the gaps of the South Mountain, in order to compel Meade to come after him, or  to wait steadily in his present positions for the attack of the Federals, or again,  to maneuver, in order to dislodge them from those they occupy by menacing their communications by the right or left; or finally, to  storm these positions in front, in the hope of carrying them by main force. The best plan would undoubtedly have been the first, because, by preserving the strategic offensive, Lee would thus secure all the advantages of the tactical defensive." - - the Count of Paris. According to A.L. 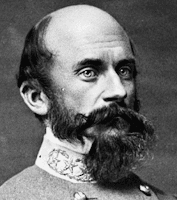 Long, the Military Secretary to General Lee during the war, COA # 1 and # 2 not possible. the Army of Northern Virginia not having organized supply to sustain a prolonged period of combat. COA # 3 also not possible, Confederate cavalry absent, not providing valuable intelligence necessary for General Lee to make sound decisions. AND WE ALL KNOW THE CONSEQUENCES OF COA # 4. ON THIS DATE [3 JULY] IN 1863, PICKETT'S CHARGE, THE RESULTS DISASTROUS. Christopher Hitchens and the strange case of the inflatable tanks! Thanks to the English Tabloid Daily Mail.
"' fulminator-in-chief. . . visceral wit. . . a decent, kind and deeply compassionate man with the air of a prophet about him . . . disreputable or foaming at the mouth . . . bonkers'"
"fulminator - - n. One who fulminates, or criticizes intensely"
"bonkers - - adj. Informal crazy"
See first items # 1 and # 2 as linked below. Then read further # 3 the acerbic response.of Christopher Hitchens. Thanks again in all cases to the English Daily Mail. GREAT BRITAIN NOT EVEN ANYMORE A MEDIUM-SIZED WORLD POWER? FAKE AND OVERBLOWN? 1. "British Army could introduce blow-up tanks to swell the size of armed forces in the eyes of the enemy"
2. "It's the enemy - blow 'em up! British army could deploy INFLATABLE tanks in bid to confuse enemies on the battlefield"
3. 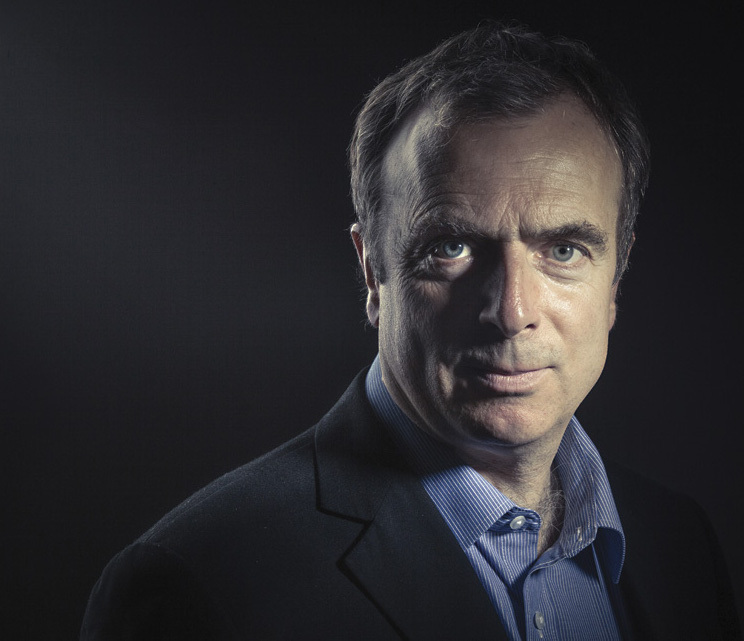 "PETER HITCHENS: Inflatable tanks? Perfect for our fake, overblown nation"
See also the Christopher Hitchens blog and the entire archive of same. Chris blogs, therefore he is. Effective of weapons systems, an additional comparison! "The Super Weapon Everyone Wants To Ignore"
"For every U.S. submarine sailor lost using submarine launched torpedoes, 560 tons of enemy ships were sunk. During the mine campaign 3,500 tons were sunk for each U.S. fatality. On a cost basis the difference was equally stark. Counting the cost of lost mine laying aircraft (B- 29's at $500,000 each) or torpedo armed submarine ($5 million each), we find that each ton of sunk shipping cost six dollars when using mines and fifty-five dollars when using submarines." By my quick and dirty calculation the dropping of naval mines by warplane that measure to sink Japanese shipping about sixty times more effective than the submarine campaign. Starvation referring to Operation Starvation. So much Japanese shipping sent to the bottom the transportation of essential food stuffs more or less curtailed. It is estimated that 10 million Japanese might have died of hunger if the war had not ended as it did as soon as it did..
"Traditionally the Chinese Civil War has been interpreted as a prototypical Asian peasant revolution of rural masses against a corrupt government [Nationalist]. Some of the picture fits, but not all. The National Government, exhausted by the Anti-Japanese War, was beset by political rivalries and riddled with corruption, and the Chinese economy was consumed by spiraling inflation. The Communists made a democratic sounding appeal that persuaded much moderate opinion at least to remain neutral and won support both from important sectors of the intelligentsia as well as the poor peasantry . . . Alliance politics were critical: the Soviet helped the Communists even while seemingly accommodating the Nationalists; ineffective U.S. intervention deeply alienated both Chinese parties. Ultimately, however, this was not a social war; its outcome was determined militarily and could have gone either way. Revolution, as most recent scholarship has underlined, was much more its consequence than its cause." And also again the Nationalists as portrayed in the media the corrupt bad guys and the communists under Mao as reformers trying to get a better deal for the peasant. The Soviets not stinting in their support of Mao. American response to the Chinese situation half-baked and confused. Arthur Waldron is correct in his assert that military victory was primary and social revolution only secondary? The scholars have a difficulty with this one?